And finally, I have one one-off ambition: to sustain a tidy, clean house that I don’t feel I have to apologise to visitors for. But on the other hand, the housework can wait. I can always just lower my standards some more. Whatever your plans are for 2017, I wish you a happy, productive and peaceful one. 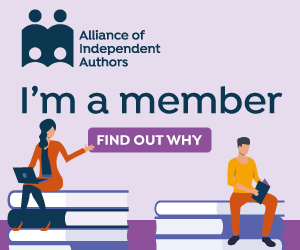 To be one of the first to know whenever I’m about to launch a new book, join my Reader’s Club here. And here’s me, sweating over one piddly book! Also, I believe that household germs build character. Or something like that. Wow, what an achievement for one short year. I know you can do it, Debbie! Ever the optimist – wish you could pass me some over! Ever the pessimist, me … not through choice … just hoping I might complete Love You to theMoon by theendof the year … and that my new e-book covers sell some copies! Oh Debbie, never apologise for the state of your house – you have far better things to spend your time on! As long as you can (eventually) find what you’re looking for, and as long as no-one dies of food poisoning, there’s nothing to worry about. As for your “year of threes”, I wish plenty of power to your elbow – but for writing, not dusting!